The patella (knee cap) is a sesamoid bone within the tendon of insertion of the quadriceps muscle in the hindlimb. Its role is to protect and direct the tendon as it courses over the distal femur and to increase the mechanical advantage of the tendon. The patella glides in a groove in the distal femur called the trochlear groove. Patella instability arises if the patella is not retained within the groove during normal movement. 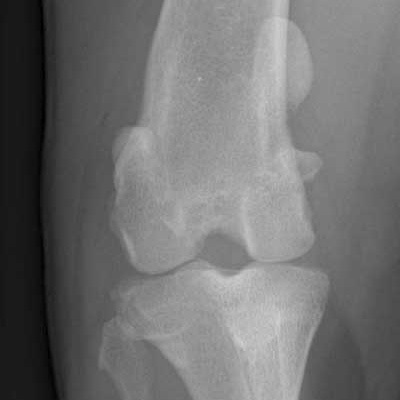 This instability or luxation can be medial (towards the inside of the limb) or lateral (towards the outside of the limb). Instability does not always cause a clinical problem and it is common, particularly in small breeds of dog, to discover the condition on a clinical examination but for no clinical problem to be present. 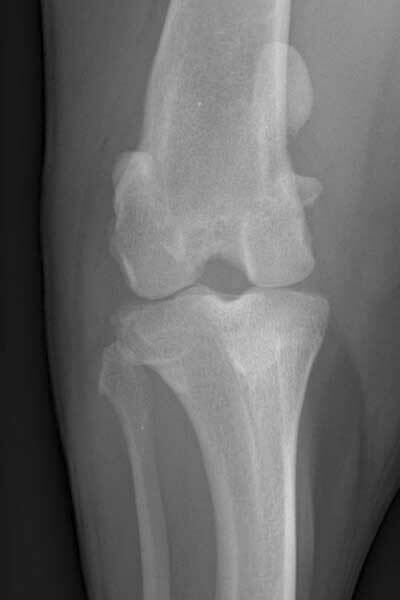 The causes of patella luxation are complex but usually relate to the conformation of the limb. One or both hindlimbs may be affected. The condition may be obvious when your pet is immature (from 4-5months old) or may not become obvious until they are adults. In the latter case lameness may appear because the joint has become painful with erosion of joint cartilage and exposure of underlying bone. How do I know if my dog or cat has patella luxation? 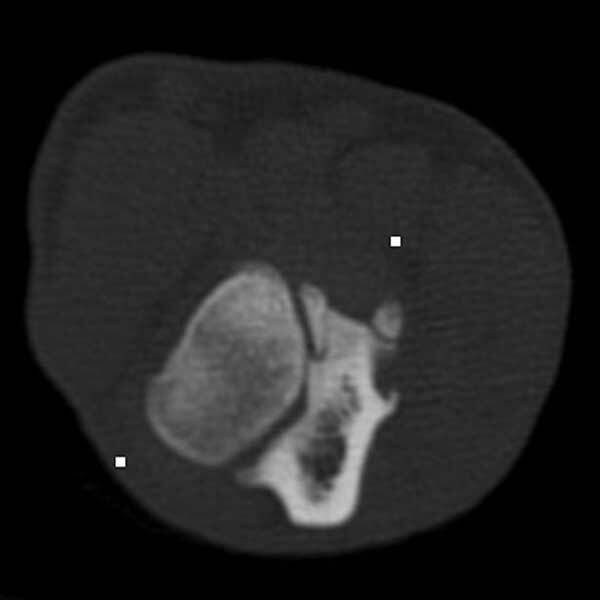 Patella luxation may be present with no obvious clinical problem. Dogs with a problem in one hindlimb may intermittently lift the affected limb or show more persistent lameness. If both hindlimbs are affected your pet may have problems with certain activities such as jumping or climbing stairs etc. Dogs that are severely affected on both hindlimbs often have a “shuffling” hindlimb action. How is patella luxation diagnosed? The clinical signs are often suggestive that the problem is present. On a clinical examination the patella may be located within its groove but can be luxated manually, or by manipulating the lower limb, or it may be luxated. The severity of instability can be graded from I-IV. Usually a diagnosis of patella luxation can be made from the clinical examination but there are instances where Xrays are needed. 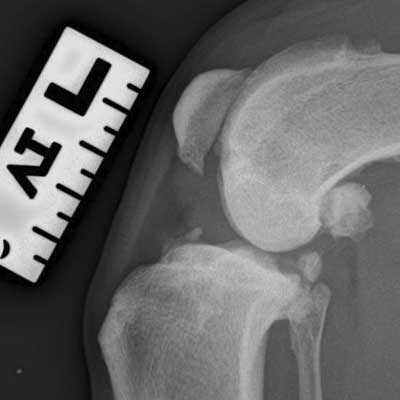 This can confirm the location of the patella and determine whether osteoarthritis is present. 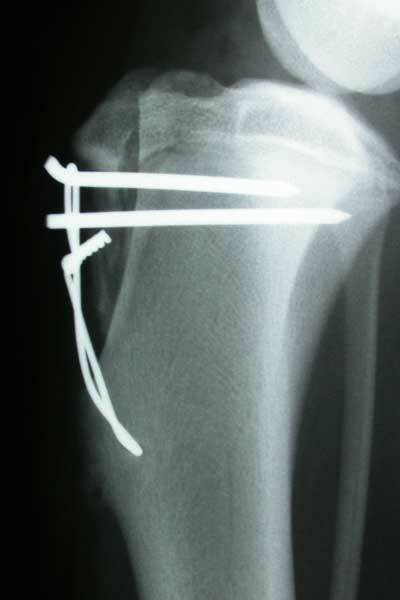 It can also allow us to assess the rest of the limb for conformational abnormalities that sometimes require correction. How is patella luxation treated? Dogs with only mild instability with no clinical signs often do not need treatment. Dogs with clinical signs of lameness usually require surgery and this takes a number of forms depending on the severity of instability. Dogs may have surgery on both limbs at the same time or there may be a delay between surgeries. This is the simplest surgery to perform and involves placing stitches in the soft tissues adjacent to the patella to tighten them. It is usually performed with one or both of the procedures below. This is the process of deepening the trochlear groove in the end of the femur. 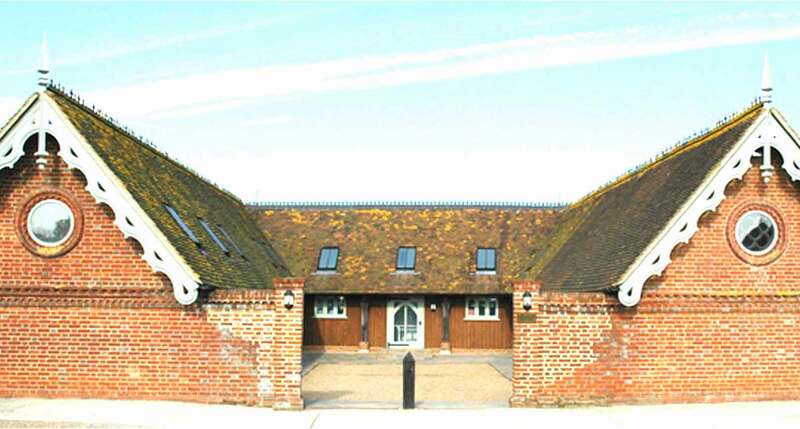 It usually involves taking out a wedge of cartilage and bone, deepening the groove and then replacing the wedge. This is often the most important component of surgery and involves cutting the bone that the patella is attached to by its ligament (on the tibia) and moving it either medially or laterally depending on the direction of the patella instability. These procedures are occasionally required in dogs with more severe conformational abnormalities. 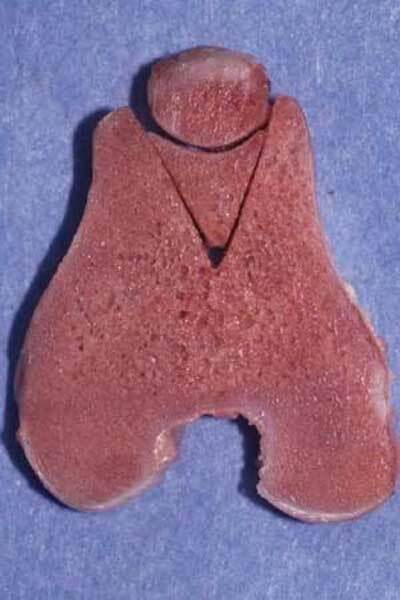 This is a relatively new technique that is indicated when there are moderate to severe trochlear groove abnormalities or where the patella has severe cartilage erosions. The bone and cartilage of the original trochlear groove are removed and replaced with a prosthetic groove. 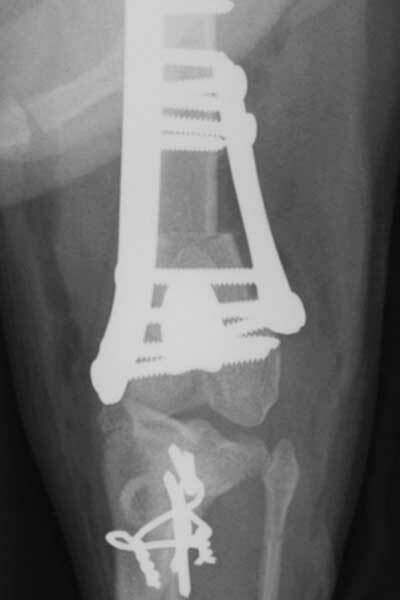 This is shown here in an Xray of a dog that has also had a TPLO for a cranial cruciate ligament rupture. 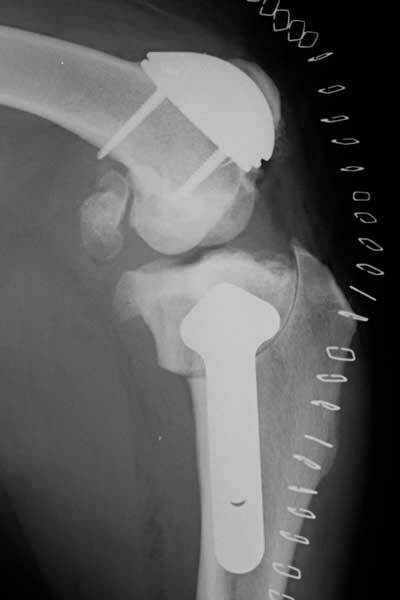 Surgery to correct patella luxation is usually successful. Dogs with patellar luxation will usually develop some osteoarthritis but this is normally mild and does not cause serious problems. 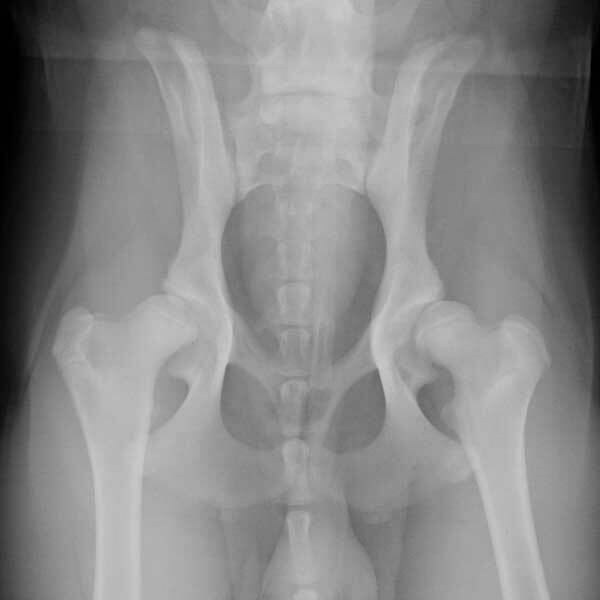 Osteoarthritis will tend to progress in dogs even when surgery is undertaken but this progression is usually mild. Dogs with severe conformational abnormalities may remain lame.